Do you often feel you lack energy, aren’t able to experience a good night’s sleep, have migraines and cannot concentrate during the day? All these problems may very well be the effect of the perturbing action of electromagnetic radiation. 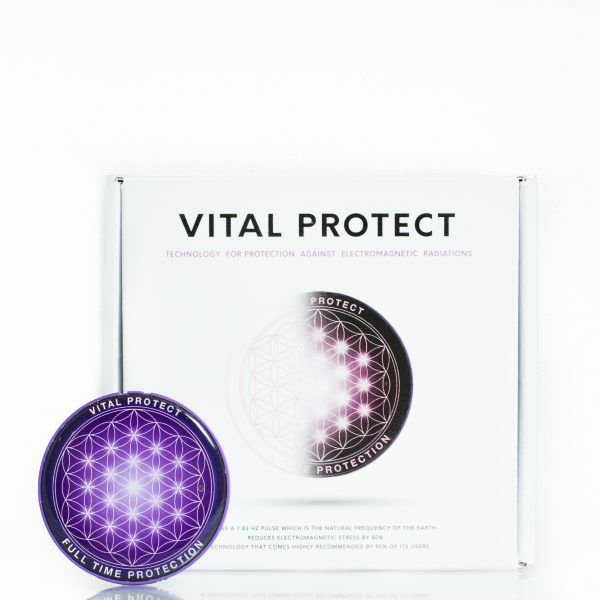 VITAL PROTECT fosters the normal and natural development of internal electric signals. 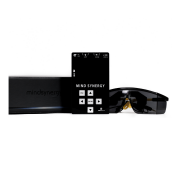 It contains a generator set on a constant frequency of 7.83 HZ, Schumann frequency, (controlled by a microprocessor), on a specific waveform and with a certain amplitude so that the users obtain an optimal effect on their nervous systems. This oscillator emits on a radionic system of spiral antennas and crystals that produce a scalar vortex to which the nervous system reacts in an instant. The first principle refers to an existing resonance frequency which connects us to the vitalizing and beneficial energies of the Earth. As we are living on a planet with a specific dimension of the cavity Earth-ionosphere, there is a resonance frequency (named Schumann resonance) through which we absorb the vital energies of the Earth. Scientists state that this frequency is so important for all living organisms that in its absence diseases will soon occur. The second principle is a radiating structure which generates a state of harmony and balance in the entire being. This structure generates an energetic vortex which balances energies along the spine and permanently purifies the human being. The radiant structure consists of a combination of noble metal spirals and a crystal network and is used as an antenna to amplify and transmit the effect of Schumann resonance to the entire bioelectric field of the human being. 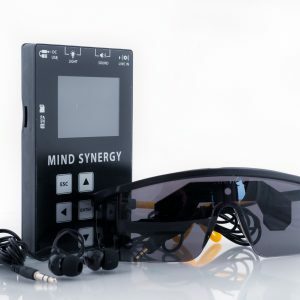 It ensures ACTIVE PROTECTION because it emits on the 7.83 Hz Schumann frequency which stimulates the organism to ignore disturbing signals in the environment. PASSIVE PROTECTION – our new VITAL PROTECT is built with radionic spiral structures which act as transmitting antennas for the signal. 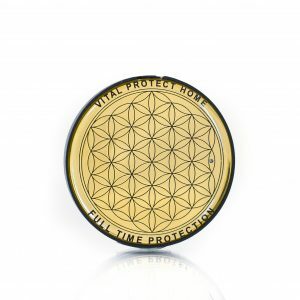 The operating frequency is VERY PRECISE, offering real protection against electromagnetic radiations. This is possible because of a quartz oscillator within the device. 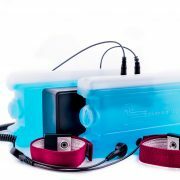 It is OMNI-DIRECTIONAL, in other words, the antenna system generates protection over a radius from 2.5 up to 3 meters. LONG BATTERY LIFE – the battery lasts for over 9 months. 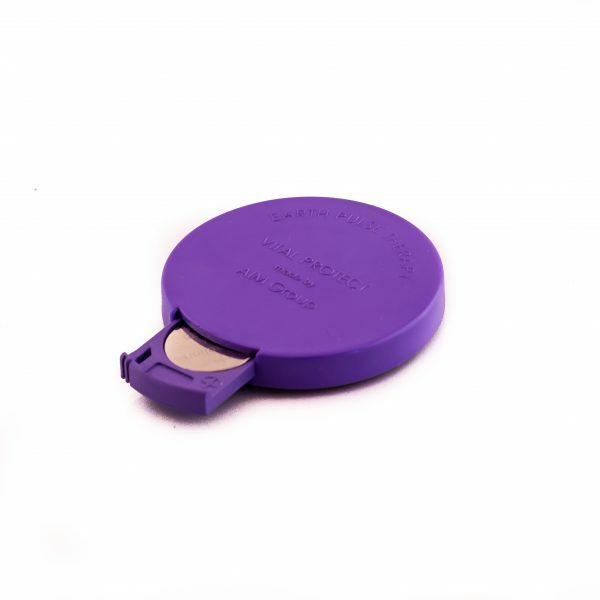 LIFETIME USAGE – remarkable reliability – the device was designed to be used for a lifetime, all the user has to do is replace the battery when it’s empty. 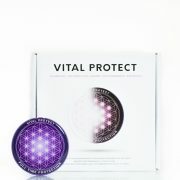 Our new VITAL PROTECT is much more ergonomic and attractive in shape. 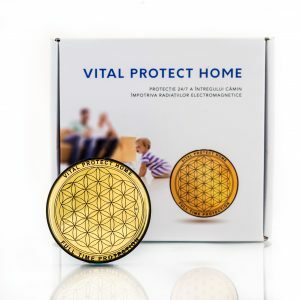 You will also receive a CD with 10 tunes that have been modulated on the 7.83 Hz frequency, the most beneficial resonance for the human brain and body. By simply listening to these tones your organism will vibrate on a beneficial frequency. The 10 tunes will also help you enter a state of meditation. YOU WILL GET A FULL REFUND if, for whatever reason, you return the device within 30 days of purchase. The device has a liability period of 24 months. Vital Protect is certified ISO 9001, the most prevalent and applicable standard regarding quality requirements for service provision. *Disclaimer: This isn’t a medical device. Although it brings massive health improvements, it isn’t intended as a replacement for medical diagnostic and treatment. Hi Robert, thank you for purchasing VitalProtect! There are more changes with you going on. Write us a couple of months of wearing it and we are sure that you will need more pages.